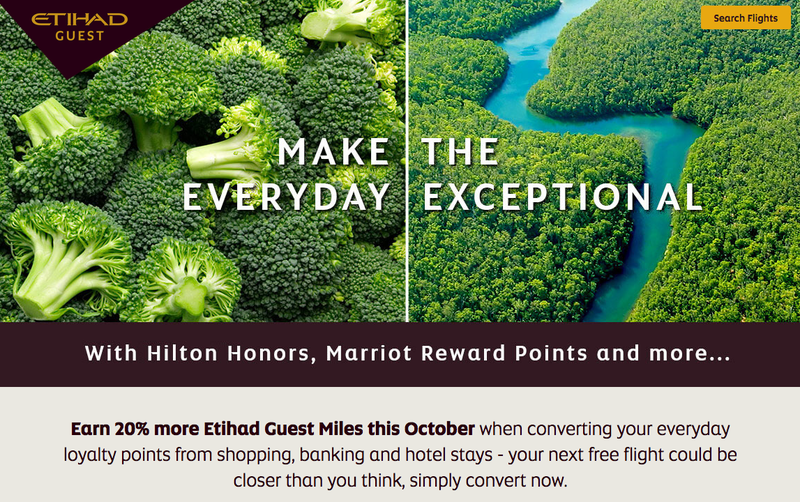 Etihad has brought back their partner conversion bonus offer sans American Express or SPG but it is still an offer to highlight! You have until the end of the month to convert from programs like Hilton, Joyalukkas and more and score a 20% bonus on those conversions. Other bonuses added today that you should also take a look at are BA’s new Double Avios on all flights offer, Jet Airway’s own conversion bonus from their partners (SPG is included, so convert 25,001 Starpoints to get to the max bonus) and Cathay’s extension of their Avis car rental bonus.